Windows 10 Cloud will not have Mixed Reality support. Microsoft has been heavily focused on its Mixed Reality platform recently. After the introduction of the HoloLens last year, Microsoft has taken the dream higher by planning to bring the Holographic shell to Windows 10. 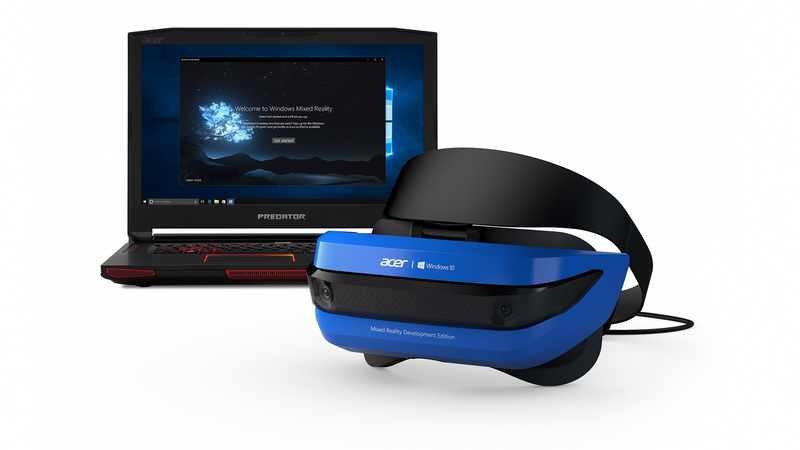 Renaming it Mixed Reality from Holographic shell, Microsoft’s mixed reality shell is coming to Windows 10 PCs with the Creators Update in April. The Mixed Reality feature is currently available to Insiders on Windows 10 Home and Pro SKUs. MSPU has now got hold a build of Windows 10 Cloud and has found out that Windows Mixed Reality is missing from the new SKU of Windows 10. Windows 10 Cloud will be a new offering from Microsoft that is intended to take on Chromebooks. Having the ability to run only Windows Store apps, Windows 10 Cloud will be a lightweight version of its elder brother. Now it seems like Windows Mixed Reality will also be not available on Windows 10 Cloud. 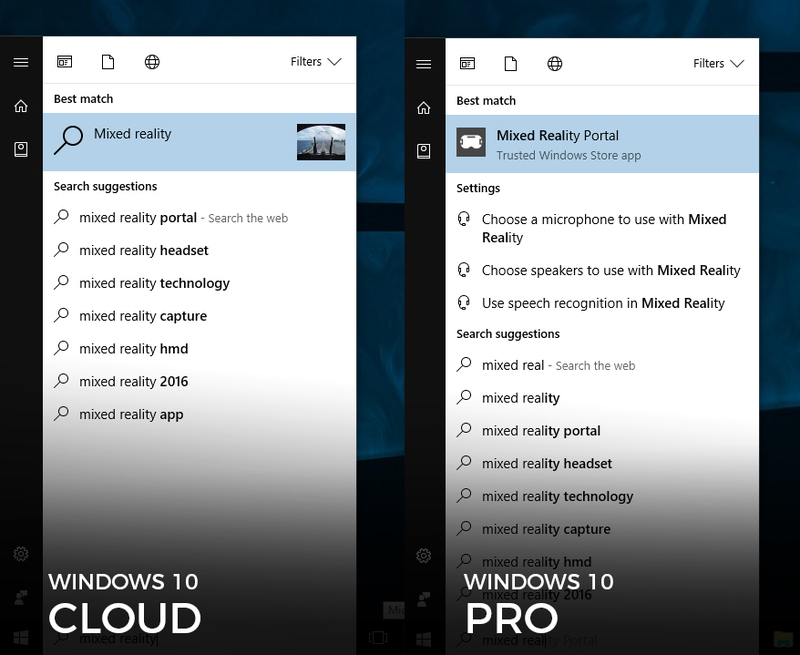 Searching for Mixed Reality yields up nothing on Windows 10 Cloud as compared to Windows 10 Pro, which has a ‘Mixed Reality Portal’ app preinstalled. This makes sense as Windows 10 Cloud will be able to run on low end hardware and will also cost a lot less than Windows 10 Home or Pro. Being focused towards a low end market, the absence of Mixed Reality certainly makes sense.